Okay, it was a DC steakhouse, not a bar, and this is no joke. 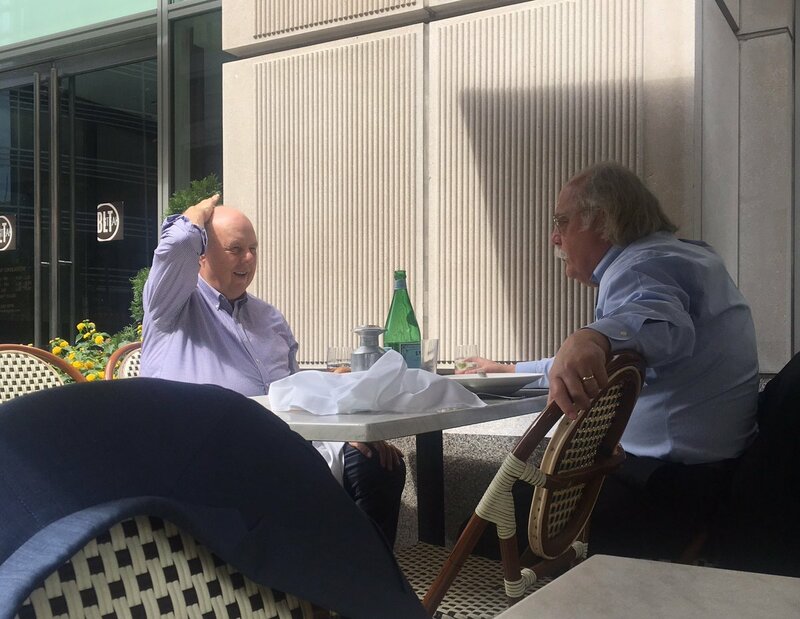 Two of President Trump’s personal lawyers—Ty Cobb and John Dowd—ate lunch at BLT Steak on a recent Tuesday and discussed differing legal strategies for responding to Director Mueller’s Russian-related document requests. They dined and debated with no knowledge that New York Times reporter Ken Vogel sat at an adjacent table secretly taking notes of the lawyers’ conversation. What does this episode mean for President Trump’s potential invocation of executive privilege? What lessons can all lawyers derive from this inside-the-beltway faux pas? Let’s discuss.